Hi, teacher friends! This is Melissa from Teacher Treasure Hunter blog. I'm so glad you could join me today. This month our bloggers will focus on time, technology & teacher tricks. It sounds like another fun month of great blog posts! I am always in awe of the talented bloggers that are a part of this collaboration. I learn so much from each of them! This year, there are 3 new teachers that I have been helping. Two have made big grade changes (preschool & high-school teacher that are going into elementary) and one is brand new to teaching. This has made me think about all the little tips that make the school year easier. I'm going to share a few of those with you and hopefully there will be something that is new to you! 1) Monthly or thematic binders - I have tried putting these things in file cabinets and it just didn't work for me. I LOVE using binders. I can pull it out and quickly glance through the binder to find what I need or do lesson planning. 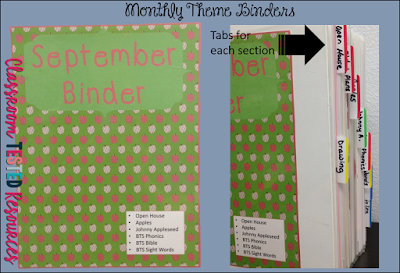 This year some of these binders are going to the new 1st grade teacher and she was very glad that these were prepared. 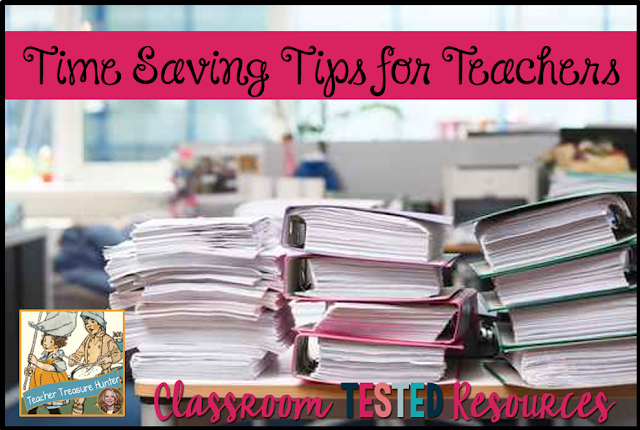 2) Digital files - What do you do with all of those fabulous teaching items that you get from blogs that your follow or TeachersPayTeachers? Well, you need a really good digital file system! I like to organize my files by school name - grade (since I switched grades I have 2 different sets of files) - theme or subject. Some themes will need even more file subheadings and subjects definitely will. You don't want to file all your math resources under "math". Add some subtitles to make it even easier to locate materials. I also include pictures in these files. I used to rely on pinterest for this type of organization, but I also keep a picture in my files if it something that I have used and want to make sure I use again. I will take a screen shot of the book, bulletin board, teaching idea, etc. and name the picture with a description. I will then file it under the theme or subject. 3) Birthday Gift Bags - It's a big time saver to prepare for all the birthdays at the beginning of the year. 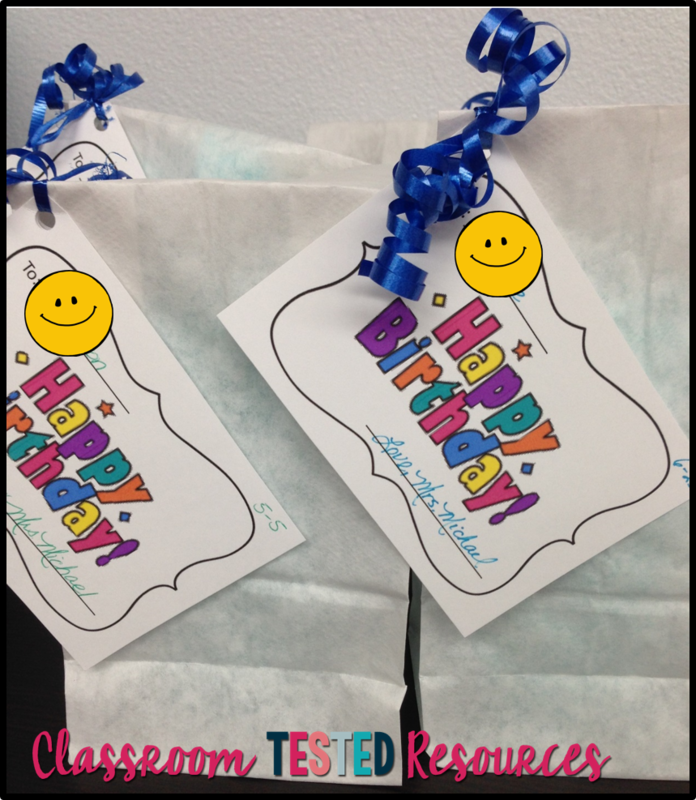 I give each student a gift bag with a few small treats. This year I included glow sticks, a pixie stick, Happy Birthday bracelet & a plastic whistle (party favor). 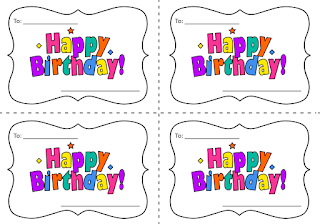 You can download the free Happy Birthday tags here or by clicking on the picture. Thanks for reading! I hope that you have had an awesome back-to-school!